Do you know by installing solar power panels you not only reduce your carbon footprint but also get a step closer taking your electricity production and consumption into your own hands. Whether you install a solar battery backup, hybrid or standard grid-tied solar energy system, it is the most significant decisions for every solar shopper. When you are comparing typical grid-connection or off-grid alternatives to hybrid solar panels, here are the few things you should keep in mind. 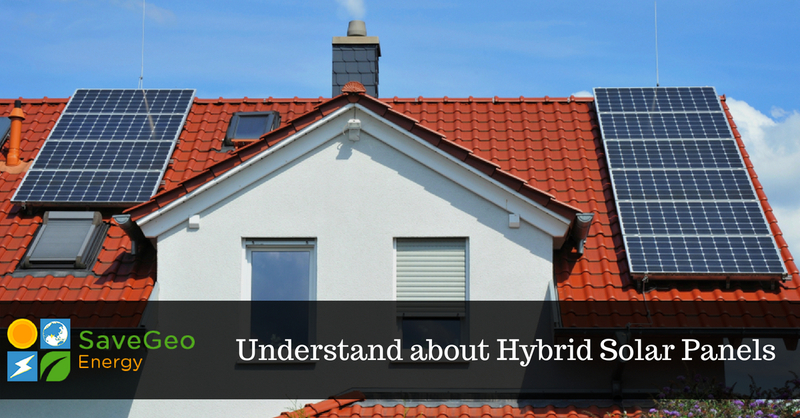 First, let us understand about Hybrid Solar Panels. A hybrid solar panel system is a combination of storage-ready apparatus and grid-connected, providing consistent energy supply throughout the day. The system not only stores energy in one or multiple solar batteries for later use but can also pull out the power from the grid in high energy use periods. Thus, any solar plus storage system which is not entirely off-grid will be a hybrid system. Every year off-grid solar technology is becoming more advanced, and many industries are manufacturing solar batteries for home. Installing battery storage along with PV System can store excess solar electricity when produced and later use it as per the requirement. Thus an individual can entirely sever the connection with their electric utility. However, living in an area with a significant climate variation, staying grid-tied makes more sense. Nowadays, many solar batteries to store solar energy that generates at daytime for home-based to use at night are available in the market. Therefore these solar batteries can help in reducing the reliance of an individual on utility electricity by storing excessive solar power at home instead of feeding it back into the grid. Suppose when the potential of solar power is at its lowest, and in winter if the system generation is highest to cover the future needs, the trickier proposition is generating and storing enough solar electricity in the summer. Moreover, the average solar shopper offsets 86 % of annual electricity use with solar which is a significant amount, but not enough to go entirely off-grid. Can we go off-grid with our solar panels? For most of the homeowners, a grid-tied solar system is the best option. However, there are plenty of situations where taking your home off-grid with a solar battery backup makes sense. The best thing about off-grid solar battery systems is that it can be installed in remote areas, but to do so your property should meet few criteria to be a good fit for the off-grid solar system. First and foremost, it is a must to have a deficient electricity demand. Additionally, it can be a feasible option if an individual constructs a net zero energy home or conduct significant home energy efficiency retrofits on existing home, powering the property with off-grid solar-plus-storage. To invest in a solar battery backup, they need to have a financial capacity that will add thousands of dollar to their solar installation. However, there are still opportunities to use solar-plus-storage technology, if you do not want your home entirely off-grid with a solar battery backup. SaveGeo– A hybrid solar solutions provider, offers reliable, independent and cost-effective hybrid solutions with low operation and maintenance costs. Their hybrid solutions are provided with our exemplary and comprehensive EPC (engineering, procurement, and construction) delivery.